In the luxury bespoke automobile industry, the relationship between car and owner is a strongly personal one — with enough patience, there is hope of finding the one just right for you. In this sense, while specifications and technology do reign supreme, the cherry-on-top for luxe vehicles extends beyond horsepower and engine numbers. It encompasses the idea a car conveys — the lifestyle it represents for its driver. This is perhaps most clearly seen with the line of luxury automobile maker Rolls-Royce — enter tagline “Drive or be driven? Explore our showroom and find your perfect Rolls-Royce”. 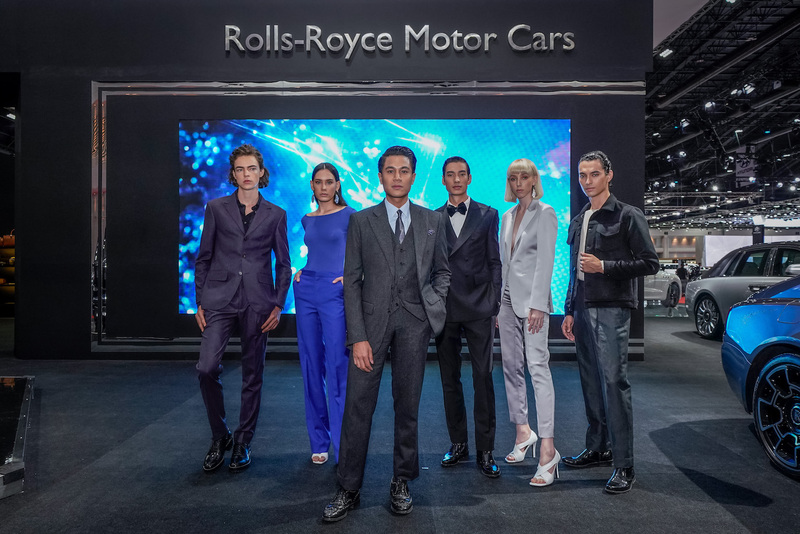 For its return to the 40th Bangkok International Motor Show, Rolls-Royce unveiled its most impressive showcase as of late — a full range of Bespoke motor cars, exquisitely hand-built at the Home of Rolls-Royce in Goodwood, West Sussex. 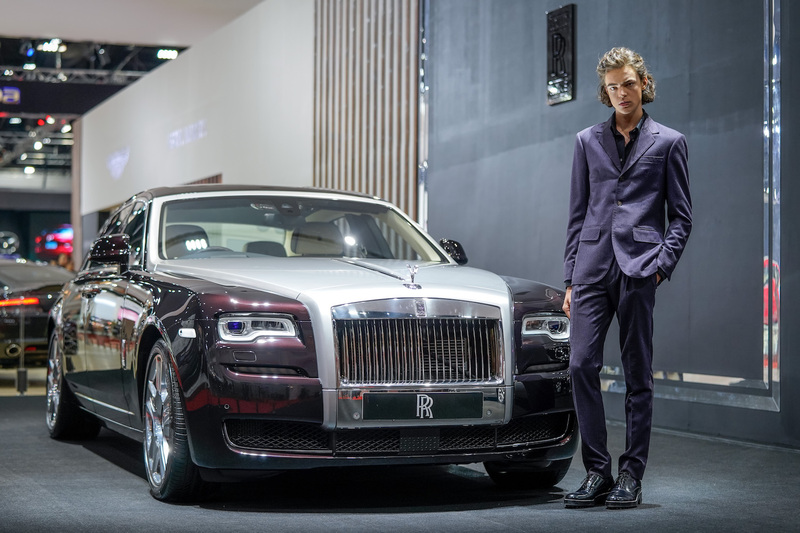 From the bold Black Badge to the timelessly elegant Phantom, each Rolls-Royce model is especially designed with its own unique character, something emphasised through a special collaboration with renowned Thai designer Thattaworn ‘Von’ Sugunnasil. Just for the Motor Show, the founder and creative director of Vvon Sugunnasil created five bespoke outfits for each car, highlighting the key personality traits and characteristics of each individual design. If a Rolls-Royce car were to become an outfit, how would it look, and what persona would it have? Read on to find out. To find out more about the Rolls-Royce cars, visit rolls-roycemotorcars.com. The pinnacle of luxury, the Phantom is known for its timelessly distinct aura. Considered in many ways the flagship model of the Rolls-Royce brand, the Phantom has become an icon of the modern luxury automobile — combining cutting-edge technology with sleek design styles, for a driving experience that stands out for being unrivaled and truly one of a kind. 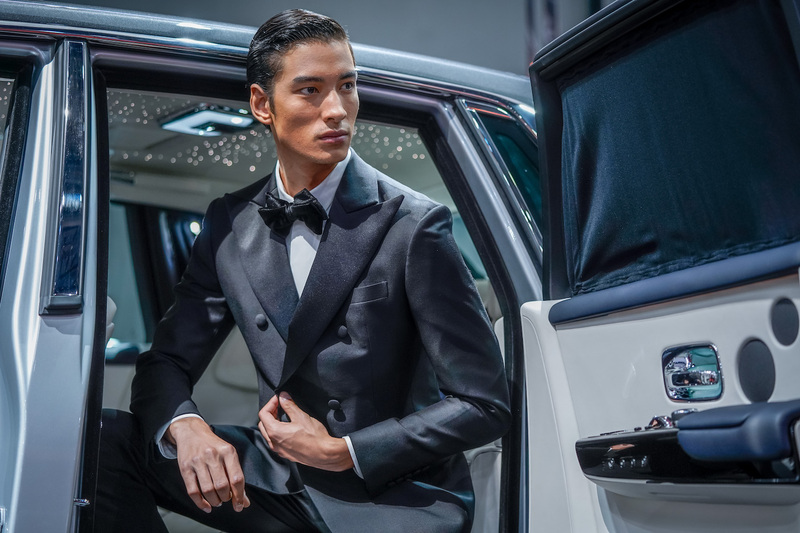 Representing best of life’s finer things, the unmatched luxury lifestyle the Phantom embodies is, of course, manifested through a classic black-tie ensemble, with a double-breasted jacket for extra striking flair. Continuing to remain at the cornerstone for Rolls-Royce, particularly within the Thai market, the Ghost is upheld as the ultimate status symbol for society’s most successful — the passionate entrepreneurial talents and affluent visionaries paving the way towards a better future. A luxury vehicle meant for those achieving personal success, the Ghost is represented through a crisp suit — clean cut in a purple hue for a stylishly contemporary twist. With Rolls-Royce, nothing is left unexplored, from timeless elegance or the bold and rebellious. Representing the darker and more dynamic alter-ego of Rolls-Royce, the Black Badge was designed to meet the needs of a younger, more discerning generation. As such, it embodies the lifestyles of those who dare to be different, and is considered by many to be the most powerful Rolls-Royce among the repertoire of models. An unflappable advocate of dare-to-be-you, the design is represented by a sleek bespoke suit in a daring silver sheen. While the traditional reputation of Rolls-Royce is a formidable presence, the brand also has a side that is coquettishly playful, enticing, and downright irresistible. Enter the Rolls-Royce Dawn — the luxury automobile maker’s most sensuous and sociable offering. With beautiful seashell interiors and a classy-meets-joyous facade, the Dawn gives riders a glamorous cruiser perfect for friends and family. It is, of course, embodied by an outfit that is as sophisticated as it is fun — enter vibrant blue-on-blue, with refined suit-pants paired with a fitted wide-necked top. The best part of the outfit — the back, where it dips for a daring reveal. And then we have the latest Rolls-Royce unveil. 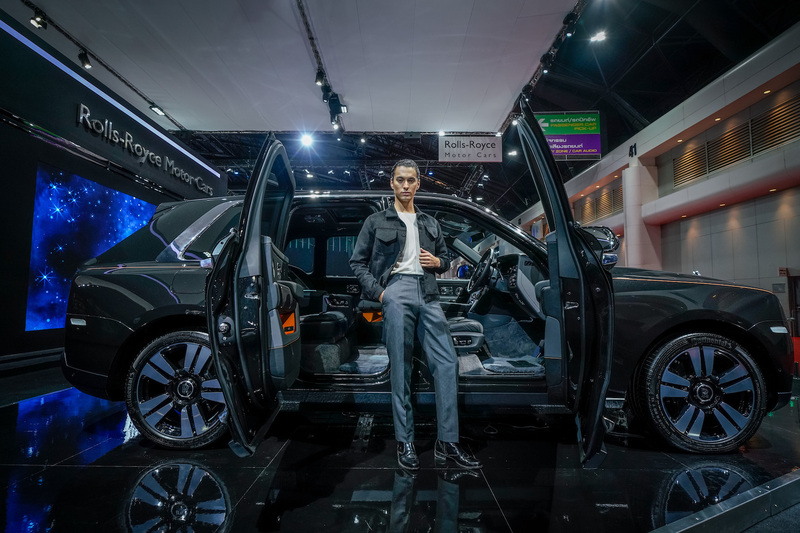 Shown for the first time in Thailand in Individual Seating format, the Cullinan brings Rolls-Royce’s renowned ‘Magic Carpet Ride’ for an off-road journey through the brand’s first ever luxury interpretation of the SUV. Merging versatility with unparalleled luxury experiences, the Cullinan gives you the chance to explore the world, from rivers to mountainous desserts, and still enjoy utmost comfort. Represented by a suit with a laid-back, semi-formal take, this latest Rolls-Royce family member is one to keep an eye on.